Governor Palin’s Good Tidings and Great Joy book tour made stops in Plano TX on Day 7 of the tour, in Tyler TX and Edmond OK on Day 8, in Fayetteville AR and Kansas City KS on Day 9, and in Minneapolis, MN on Day 10. This completed the pre-Thanksgiving portion of the tour. Gov. Palin signed books at Costco in Plano, Texas on Tuesday morning. 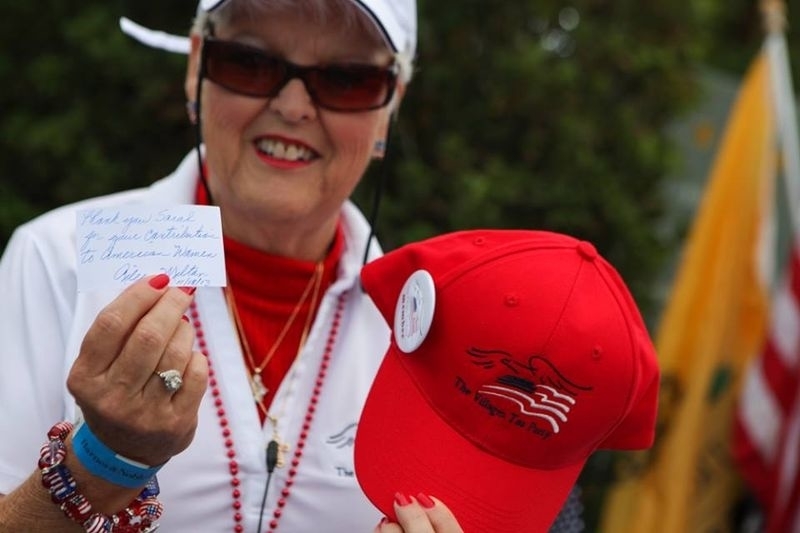 Lynda Armstrong, co-creator of The Teacher’s Daughter, posted a first hand account of the event at US4Palin. We arrived at Costco way too early and we saw two people in line, finding out later that they had been there since 9:30 PM the night before. Slowly people began to arrive. A “Texas is Palin Country” was taped to the side of an SUV, and the wait began. Lynda goes on to give the account of her personal visit with Sarah, along with photos from the event. On Wednesday morning, Governor Palin signed books at Sam’s Club in Tyler Texas. Greene thinks of Palin as somewhat of a family friend. Palin’s book is called ‘Good Tidings and Great Joy.’ It’s message is the importance of keeping religion in the Christmas holidays. 1,100 signed books later, Palin hit the road once again. Governor Palin posted 11 photos from the Tyler, Texas book signing here. The night before the Tyler event, Senator Ted Cruz’s father hosted a SarahPAC fundraiser. On Wednesday evening, Governor Palin signed books at Mardel Christian & Education Supply in Edmond, Oklahoma. During the Edmond book signing, Governor Palin was given a Peanut Butter Carb Bar Recipe by Kathy Young, which she later shared on Facebook. She also had “face time” with Trig, arranged by Piper and Willow. Governor Palin posted photos from the Edmond, Oklahoma event here. On Thursday morning, Governor Palin signed books at Sam’s Club in Fayetteville, Arkansas. Thank you to all the folks in Arkansas who joined us this morning and to the staff at Sam’s Club. You guys inspire me! Looking at some articles this morning I’m reminded of exactly why I wrote this book. Schools bullied into not playing religious themed Christmas songs – even if the music is instrumental? Schools threatened by Angry Atheists Armed with Lawyers because students participated in Franklin Graham’s Samaritan’s Purse’s “Operation Christmas Child,” a beautiful program that distributes gifts for children in need. (My family has been honored to work in this worthy cause with the Grahams, including their mission’s work in Haiti).The Scrooges are emboldened whenever we cower and back down in fear of a protracted legal fight. But I also see evidence that good people are standing up and saying, “enough is enough.” I’m confident there are more of us who stand tall than just fall for complacency and political correctness run amok at Christmas time. Come share your heart and let’s work together to honor the Reason for the Season. On Thursday evening, Governor Palin signed books at Barnes & Noble in Kansas City, Kansas. New and old friends gathered in Kansas tonight – including Robert and Shirley Hemenway (see them in the photo) whose son Ron worked for the Chief of Naval Operations at the Pentagon when he was killed on September 11, 2001. Ron graduated from Wasilla High School with Todd and me, and he was a wonderful young man from a proud and selfless Alaskan family. Ron will never be forgotten. It’s remembering 9/11 that makes us appreciate sacrifices made for our freedoms, and should stiffen our spines to defend them. Thank you to everyone who joined us, including the thoughtful Barnes & Noble staff. It’s inspiring to note in these book events, especially notable tonight in Kansas, the multiple generations of families traveling together to express their concern for America and encouragement to fight for what’s right – as so many people brought their kids and grandkids. Family patriarchs and matriarchs talked about the importance of influencing younger generations so they’d respect, honor, and protect our exceptional nation. It’s in that same spirit we seek to protect the heart of Christmas. 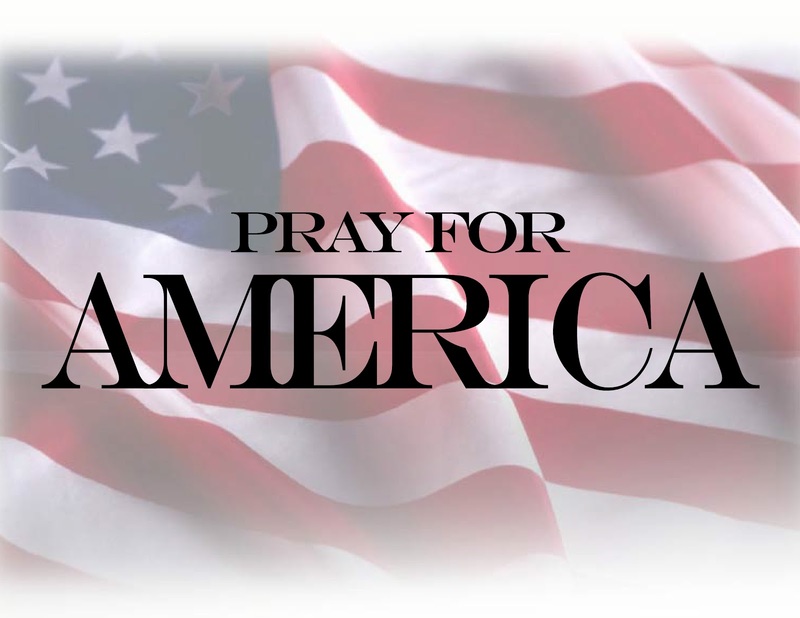 Leaning into the strength you provide, good Americans, we will keep the faith! Governor Palin posted 12 photos from the Kansas book signing here. The book signing that was scheduled for Friday morning in Omaha, Nebraska was cancelled due to flight conditions. On Friday evening, Governor Palin signed books at the Barnes & Noble at the Mall of America in Minneapolis, Minnesota. Thank you, Minneapolis! What a fun, festive crowd tonight at the Mall of America; I want your energy! It was especially reenergizing to reconnect with folks we met four years ago during the “Going Rogue” book tour. Tonight I even got to autograph great recipes attributed to me (see the Minneapolis book signing photo album)! Thank you so much for joining us. Huge kudos to the hardworking mall staff for making this a perfect wrap to the first leg of our “Good Tidings and Great Joy” tour! I’ll stay Outside for a Fox News Sunday interview with Chris Wallace, then we chill a bit to enjoy Thanksgiving with family (at my house… so thank you, new friends, for offering me new recipes this week! ), before hitting the road again. We’ll post 2nd leg tour locations soon. Again, thank you all for sharing your Christmas cheer these past weeks and allowing us to share ours with you. YOU are real hope; you’re real inspiration; you’re real America deserving honor for protecting the heart of Christmas! God bless you! Governor Palin posted 19 photos from the Mall of America book signing here. Sheilah Craighead is posting photos from the book signing events on her website here as the albums become available. For links to additional information about the book tour, including links to additional articles, videos, and Governor Palin’s Facebook posts, see our Good Tidings and Great Joy Book Tour and Latest Palin News pages. Her latest book, “Good Tidings and Great Joy: Protecting the Heart of Christmas,” was recently released by HarperCollins and is currently a New York Times best-seller. Signed copies will be available during Convocation. 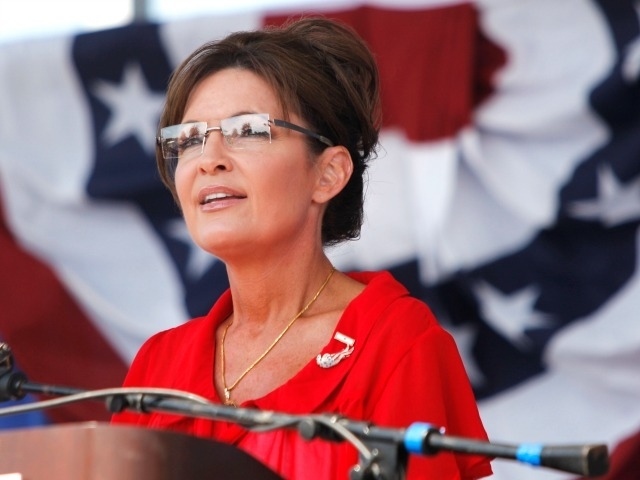 NEW YORK (AP) — Sarah Palin will soon be on a holiday season book tour. Starting next week, the former Alaska governor and GOP vice presidential candidate will be promoting her new book, “Good Tidings and Great Joy: Protecting the Heart of Christmas.” Publisher HarperCollins announced Tuesday that Palin’s tour will begin Nov. 12 at a Barnes & Noble in Bethlehem, Pa., and end Dec. 7 at a Barnes & Noble in Roanoke, Va.
Palin will make a stop in Omaha at the West Dodge Road Costco Nov. 22 from 10:30 a.m. to 12:30 p.m.
For complete event information, please read the Official Event Guidelines. Sarah Palin, a former Alaska governor and Republican vice presidential candidate, is scheduled to appear at a book signing in Fayetteville on Nov. 21. Sarah Palin grew up in Alaska towns, from Skagway to Wasilla to Anchorage, while her dad taught science and coached high school sports. She and her future husband, Todd Palin, graduated from Wasilla High School in 1982, and she went on to earn her college degree from the School of Journalism at the University of Idaho. Palin served two terms on the Wasilla City Council, then two terms as the city’s mayor and manager, and was elected by her peers as president of the Alaska Conference of Mayors. TYLER, TX (KLTV) – Former Vice Presidential candidate Sarah Palin will be in Tyler on November 20, promoting her latest book. According to Palin’s Facebook page, the former Alaska governor will be at Sam’s Club from 10 a.m. until 12 p.m. Sam’s Club in Tyler is located at 2025 S. Loop 323. Palin’s appearance in Tyler is a stop on the first leg of her “Good Tidings and Great Joy” book tour. The Edmond Mardel will host Sarah Palin during her 2013 Christmas book tour. Palin is set to sign copies of her book “Good Tidings and Great Joy: Protecting the Heart of Christmas” at 6 p.m. Nov. 20 at Mardel, 3300 S. Boulevard. The book is set to be released Tuesday through HarperCollins. As the only Christian retailer on Palin’s, Mardel is honored and blessed to be a part of Palin’s 2013 book tour, the company said in a news release. Mardel representatives said per the publisher’s request, wristbands will be required for the first 750 customers to guarantee a spot in line the day of the event and will be available at 8 a.m. on Nov. 20, 2013 at the Mardel Edmond location only. The book signing line will start at 4 p.m.
Met some awesome Floridians and inspiring members of our Greatest Generation yesterday at The Villages. We’ve been to The Villages a number of times now – including during the 2008 campaign and with the “Going Rogue” book tour – and it’s always great to reconnect with the good folks there. One of my most favorite individuals in the area is my former basketball coach, Coach Yates. Everything I ever needed to know I learned on the basketball court, and Coach Yates has been instrumental. Thank you so much to everyone who came out and to the staff at Barnes & Noble! Gov. Palin also shared a photo album with 11 pictures from The Villages here. It was a hectic night at Books-A-Million. Hundreds of people gathered outside the entrance of the Pensacola book store early Monday evening, spilling into the parking lot. Most clutched copies of a white hardback book, many wore matching pins, and all were waiting for their number to be called so they could come inside. A lone barista from the Joe Mugs Coffee Shop was all that stood between the crowd and the threshold of another lengthy wait, this one snaking from the magazine section, past a life-size standup of Duck Dynasty’s Si Robertson and through aisles of business paperbacks, inspirational gifts and Brain Quest workbooks. Rhett English, a 24-year-old Chumuckla resident, approached the gatekeeper. “Can I go in and buy a book?” he asked. “You can buy ‘the’ book,” replied the barista before letting English in. The book of course was Sarah Palin’s “Good Tidings and Great Joy: Protecting the Heart of Christmas.” The people gathered at the store were waiting for a chance to meet the former vice-presidential candidate and Governor of Alaska, who made a stop in Pensacola for her book-signing tour. Had a great time meeting Floridians in the Panhandle last night! Thank you, Pensacola, for sharing your Sunshine State Christmas spirit with us! Thank you to everyone who came last night, and a special thank you to the great staff at Books-A-Million. Now on to Texas! Here’s a gallery of 11 great photos from Pensacola as shared by Gov. Palin along with my favorite from the signing. Gov. Palin’s book tour made a stop in Plano, TX today and will take her to Tyler, TX and Edmond, OK tomorrow (11-21). You can find the “Good Tidings and Great Joy” book tour schedule here. 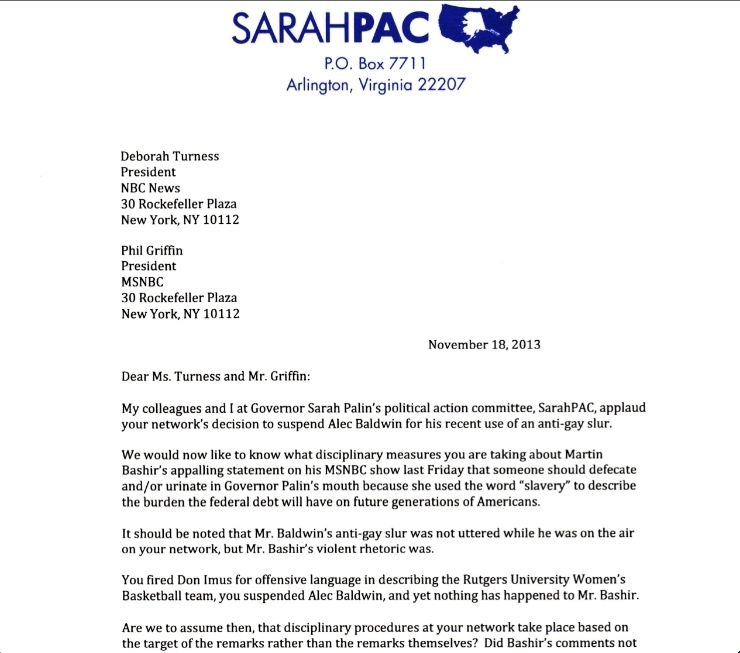 Palin PAC to MSNBC: When Will Bashir Be Disciplined? MSNBC host Martin Bashir absolutely shocked viewers when last week he made extremely vulgar comments that were directed at Gov. Sarah Palin. Earlier this week Bashir apologized but one has to wonder if his comments simply went beyond the point of no return. In Gov. Palin’s newest book “Good Tidings and Great Joy, Protecting the Heart of Christmas”, she relates a story from her family’s past and ends the story with “words matter”. Apparently this is a lesson that Mr. Bashir has never learned. Breitbart News has exclusively obtained a letter that former Alaska Gov. Sarah Palin’s political action committee, SarahPAC, wrote to the presidents of NBC News and MSNBC on Tuesday asking whether MSNBC will discipline anchor Martin Bashir for his “appalling” statement on his show last Friday in which he suggested someone should defecate and/or urinate in Palin’s mouth. Bashir apologized on his show on Monday for his remarks, saying they were “offensive” and “wholly inappropriate.” But no disciplinary action has been taken against him. Heading to Alaska’s little sister state of Texas tomorrow. We love Texas & hope to see our Sheeran cousins, aunts & uncles there! Sarah Palin and Oliver North are political allies, but on Monday they may split the Pensacola book-buying community. POLL: Which book signing will you attend? Take our poll. Palin and North have much in common as conservative Republicans, Fox News contributors and unsuccessful candidates for national elective office. Now they’re about to share the unlikely coincidence of promoting their new books in separate Pensacola stores at the same time. A quirk in the authors’ book-signing tour schedules will bring them within a mile of each other, Palin at Books-A-Million and North at Barnes & Noble. The overlapping appearances may force some fans of both celebrities to make a hard choice. “I’ll go to one of them. I had planned on going to Oliver North before I heard about Sarah Palin,” said Susan Moore, the Republican Party’s state committeewoman in Escambia County. Neither the authors’ publishers nor the local book stores learned of their similar schedules until late last week, too late to change either schedule. North’s book is the latest installment on his “American Heroes” series, which focuses on the values of those who serve in the military and their families. Plans are underway that might allow time for fans of both visitors to attend each event. Former Alaska Gov. Sarah Palin and former U.S. House Speaker Newt Gingrich are scheduled to appear soon at Barnes & Noble in The Villages to promote their new books. 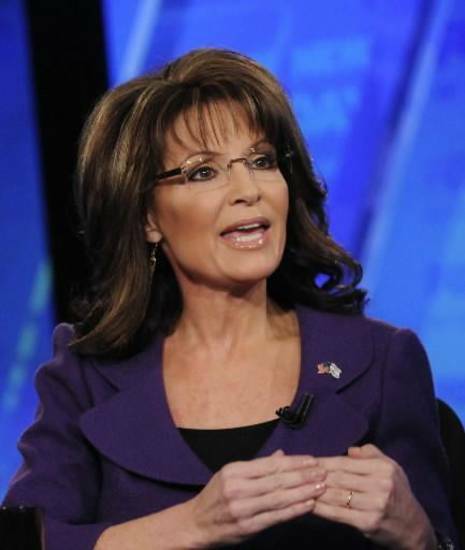 Palin’s appearance will be at 10 a.m. on Monday, Nov. 18. Her book is Good Tidings and Great Joy: Protecting the Heart of Christmas. Palin is no stranger to The Villages. When she was John McCain’s freshly minted running mate, she held her first public rally Sept. 21, 2008 at Lake Sumter Landing Market Square. The rally attracted thousands from around the state and nation. 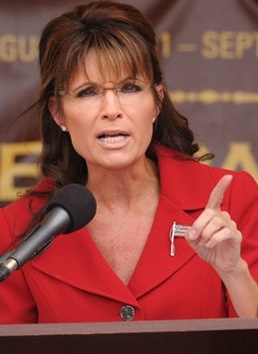 On Nov. 24, 2009, Palin was interviewed live by Gretchen Carlson of FOX & Friends from the parking lot of Barnes & Noble as part of her “Going Rogue” book tour. Barnes & Noble has released details about Sarah Palin’s booksigning event Monday in The Villages. Beginning at 7 a.m. Monday, Barnes & Noble will begin distributing wristbands which will be required to get in line for the booksigning. In all, 750 wristbands will be distributed Monday morning. Those who obtain wristbands must also have a copy of Palin’s new book and a Barnes & Noble receipt. Copies of the book will be sold that morning. The store will be opening early. Those in line may not have bags, cameras or phones. A professional photographer will be taking photos of Palin and those attending the booksigning. Copies of the photos will be available for purchase. The booksigning begins at 10 a.m. Monday. 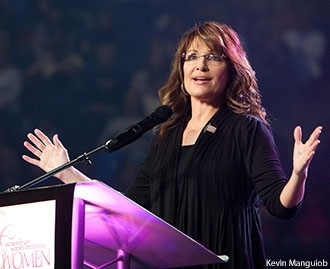 Former Vice-Presidential candidate and Alaska Governor Sarah Palin has continued to be a major force in American politics and her endorsement has propelled conservative and Tea Party candidates to victory. I am thankful for her dedication and loyalty to the Tea Party movement, even when it is not always the popular thing to do. With conviction, she has stood shoulder to shoulder with Tea Party Express in the trenches in our fight to elect Tea Party candidates and we very are appreciative. Now, it is time to support her and the special message of new book Good Tidings and Great Joy where she ‘protects the heart of Christmas’ and makes the case for bringing back the freedom to express the religious spirit of the season. We encourage you to purchase her new book here or join her in person at one of her book signings (schedule below). Please support the people that support us, our efforts, and principles.